Rainy weather always makes me hungry for crumble. It’s just so comforting to have a hot fruity dessert. 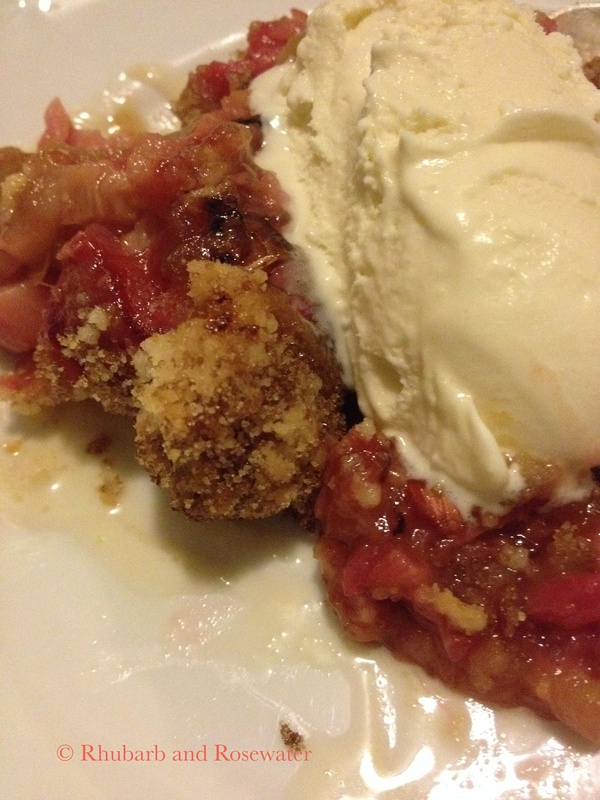 After I made the rhubarb crumble and the rhubarb gratin, I experimented some more, and last night I made a delicious green apple and rhubarb crumble. It was not really planned and so I did not take many photos. However, it turned out so wonderful, that I decided to share it! 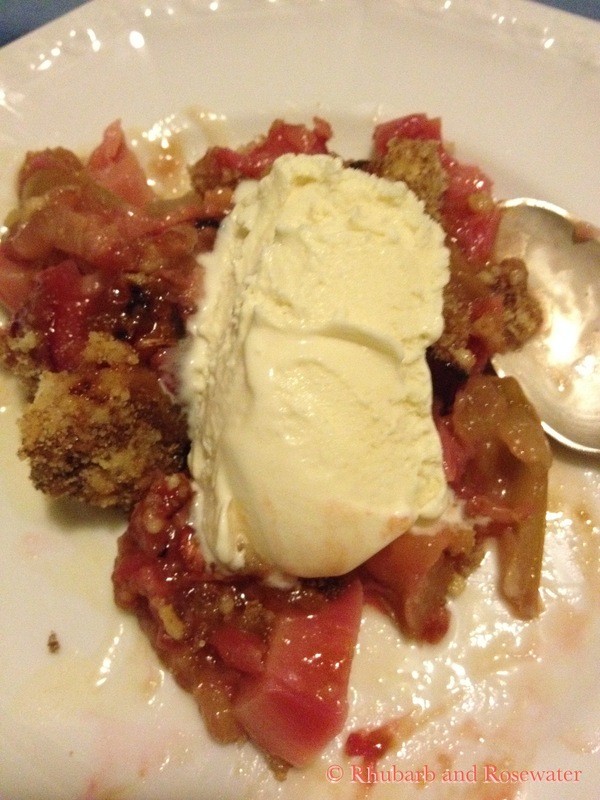 The difference to the other recipe, apart from the apples, is that I did not sugar the rhubarb. Instead I added a bit of brown sugar to the crumble dough. Many cookbooks tell to sugar the rhubarb for the crumble. However, if you are as crazy about rhubarb as I am and find delight in rhubarb’s tartness, than I advise you to refrain from sugaring it! The sweet crumble and a bit of vanilla ice cream is enough sweetness and the pure flavors of rhubarb and green apples are just… delicious! 1.) Pre-heat oven to 400˚F. Cut rhubarb and apples into small pieces and put them in an ovenproof baking container (I used a pie form). 2.) Mix sugars and flour in a bowl. Cut the butter into chunks and add it to the mixture. Add a little bit of salt. Use your hands to mix everything together until it has a crumbly consistency. 3.) Put the crumble dough on top of the fruit and bake in the oven for 30 minutes. Serve with vanilla ice cream.